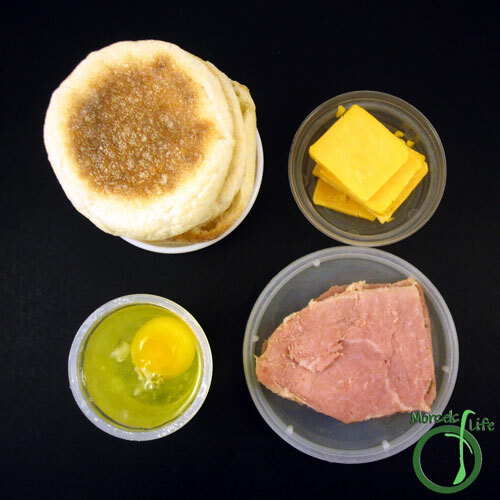 Layer some cheese, a griddle fried egg, and some ham between some toasted English muffins to make your own Egg McMuffin. 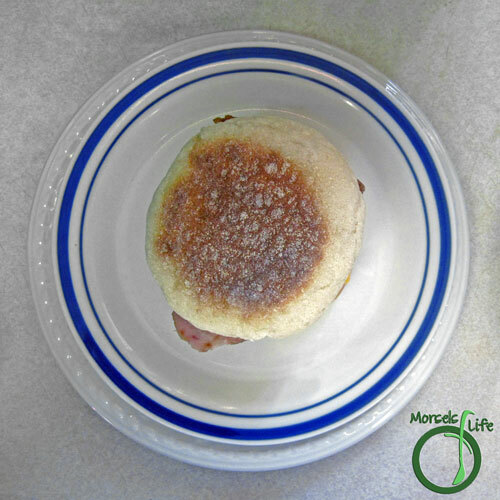 We still had a few English muffins leftover after making the Smoked Salmon Benedict. 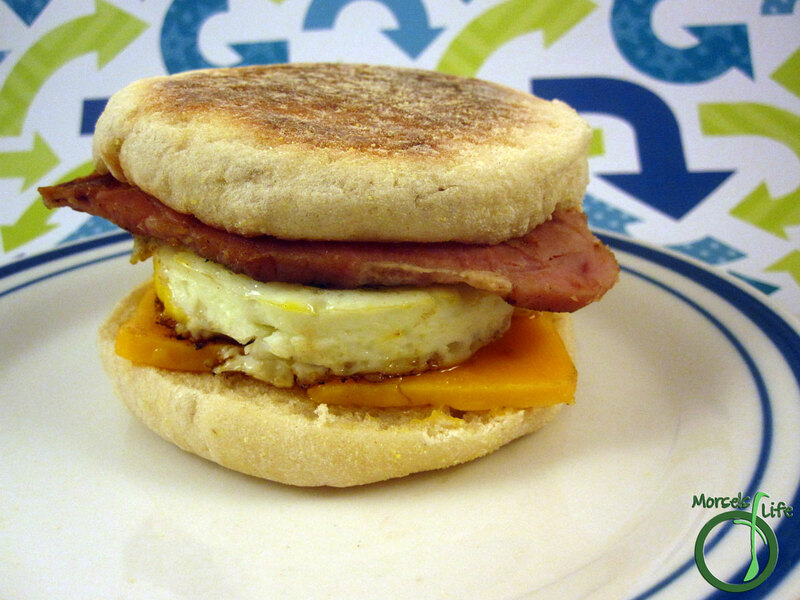 So I started thinking of other recipes using English muffins when I thought of the Egg McMuffin. 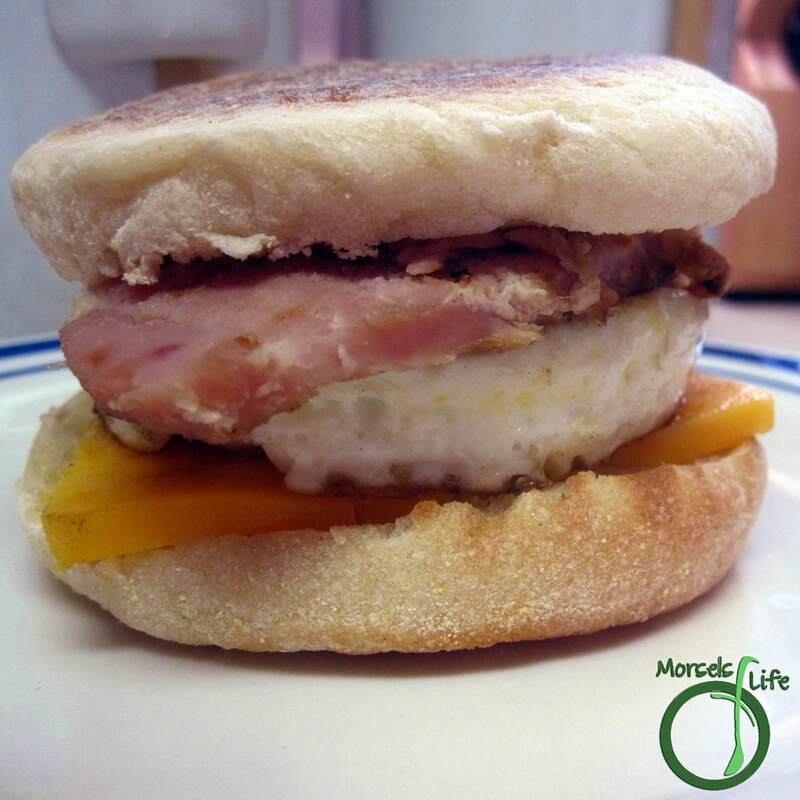 Why not make my own version of a McMuffin? I only had Virginia ham instead of the usual Canadian bacon. We also prefer Cheddar cheese instead of the usual American. The hardest part of this recipe was finding a "ring" for making the egg. You could certainly use the Teflon-coated rings made for cooking these eggs. However, since I didn't have any and didn't want to buy one, I just opened up both sides of a can and used it instead. If you go this route, you'll want to use the cans with identical tops and bottoms instead of the ones you can easily stack. 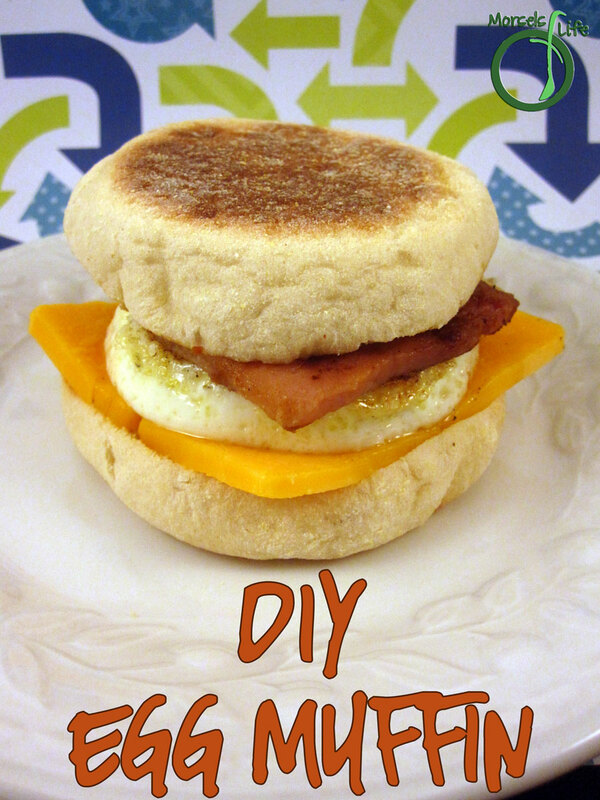 What's your favorite breakfast food DIY? 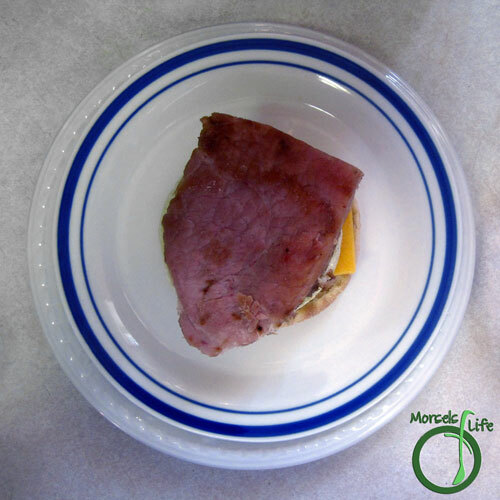 2 ounces Canadian ham I used Virginia ham. 1 ounce cheese I used cheddar. The original recipe uses American. 2. 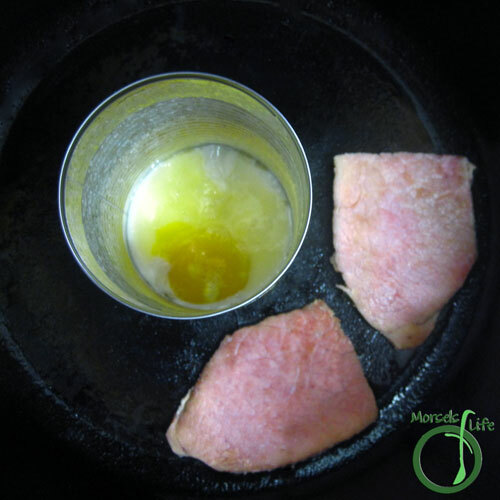 Cook up egg and ham. I just greased up the inside of a can to make the egg a circle. 3. 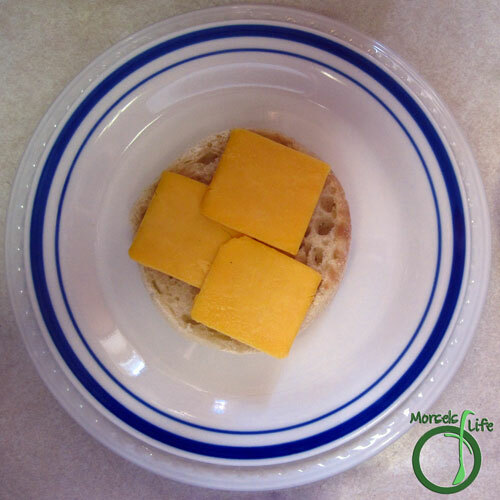 Stack cheese on toasted English muffin bottom. 4. Place egg on top of cheese layer. 5. Then layer with ham. 6. Top with English muffin top. Oh yum! My husband has been making me a similar breakfast lately but using turkish bread and adding mushrooms and spinach. Great way to start the day! Thanks for sharing with us at #Overthemoon and hope to see you next week. I'm thinking I need to give your husband's version a try - sounds scrumptious! Great way to start the day. :) Thanks for stopping by. And there you have it!! Looks nice and simple! I'm so right there with you!! Thanks for sharing! Breakfast is my favorite meal. 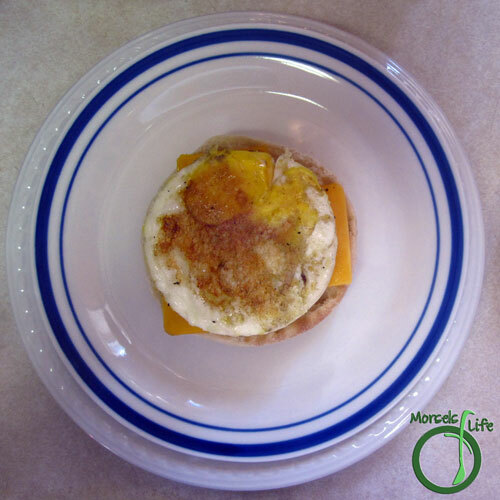 Your Egg Muffin looks great! Thanks for sharing. Great idea to use a can in place of a ring mold, I will have to try this, it looks delicious! Thanks for sharing at What'd You Do This Weekend?! We enjoyed it! :) I hate having unitaskers around, and we really don't make this enough to justify getting something else. Good thing a can with a bit of grease works just as well! This is great! Egg muffins are my hubby's favorite. And I love the idea of using a can to make the egg. That's genius! Thanks so much for sharing at Inspiration Thursday. Make hubby happy! :) Glad you like the idea of using a can for the egg - it's one less thing you have to keep in the kitchen. :) Thanks for stopping by!